My name is Bonnie Rachael. I have 40+ years of knowledge and experience with horses, including serving as a mounted police officer in Savannah, GA, for 14 years. Helping the community is in my blood. After retiring from the Savannah Police Force, I wanted to use my knowledge of horses to somehow make my community a better place. I saw that children with special needs were not able to engage in the same kind of social, fun, or physically and mentally stimulating activities that children can typically enjoy. So, to offer these children something special they could call their own, in 2006, I established Faith Equestrian Therapeutic Center (FETC). 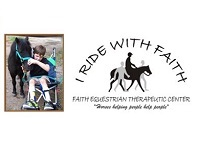 The mission of FETC is to improve the cognitive, physical, emotional and social well-being of children with disabilities by involving them in therapeutic equine activities that include horseback riding and the care and feeding of horses. We serve children with a wide range of disabilities including Down syndrome, autism spectrum disorder, spina bifida, cerebral palsy, traumatic brain injury, and vision and hearing impairment. FETC was recently honored with the Lowcountry Down Syndrome Society’s 2017 President’s Award for helping children with different abilities develop social skills, confidence and riding skills. FETC is now celebrating 11 years of serving our community. We now have an annual budget of over $200,000 and serve 150 children. The success of our business is directly associated with having a sound business plan and implementing that plan. Our SCORE mentors have taught us how to develop, review, and modify our plan as growth requires and have been our biggest cheering section through the years. SCORE has been beside us since 2013 and we hope our partnership will continue for many years to come! FETC was built on the Professional Association for Therapeutic Horsemanship, (PATH) International model for therapeutic riding. Our original business plan had an annual operating budget of only $25,000. Initially, we had only two clients. In 2012, I reached a point where my business knowledge couldn’t keep up with the need to develop a better, more comprehensive business plan for growth. I needed some professional help. So after being told about SCORE from other business associates, I contacted Savannah SCORE. Two mentors, Michael Siegel and Denis Healy, came on site to review our financial and operational status, make recommendations for improvement, and help teach me best practices for managing and growing my business. FETC is managed in a very organized manner. At six month intervals, FETC management and our SCORE mentors meet to conduct a comprehensive business review. Areas of discussion include cash flow results and projections, prioritization of operational opportunities and challenges, marketing and public relations strategies, goal setting, and collaborative opportunities. The SCORE mentors also stay in close touch for any help I need throughout the year via phone and email. We have two of the best SCORE mentors, Michael Siegel and Denis Healy. Both gentlemen are professional, well versed in business operations, and provide invaluable guidance to help us evolve and update our business plans to address the opportunities and challenges that come our way. I appreciate the ability to bounce ideas off of our mentors, knowing that they will be supportive but, at the same time, will be honest about how we should, or should not, proceed.